Apple today said the final version of iOS 9 will become available to most iOS devices beginning Sept. 16. The new operating system adds a wide range of new capabilities, such as broadened powers in Apple's Siri voice assistant. In iOS 9, for example, Siri can respond intelligently to commands; can sort through email and event invitations to automatically populate the calendar; and can prompt users to take actions, such as commuting home. iOS 9 adds public transit support to Maps. 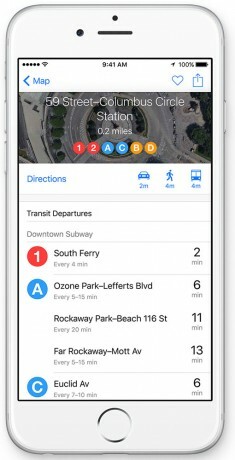 Transit data will first be available in New York, San Francisco, Chicago Philadelphia, Baltimore, and Washington, D.C., and can provide train arrival/departure times, as well as station entrances/exits. Apple Pay gains support for loyalty cards in iOS 9, beginning with Walgreens and Dunkin Donuts, and also adds support for store-branded credit cards. CarPlay receives a boost in iOS 9 with support for wireless connections between the iPhone and car (Bluetooth), and CarPlay adds support for various display shapes and sizes. iOS 9 includes a new News application, split-screen multitasking for iPads, and makes improvements to battery life thanks to a new low-power mode. iOS 9 will ship with the iPhone 6s and 6s Plus. Apple has designed and released its own external battery case for the iPhone 6 and iPhone 6s. The accessory is formed by soft-touch silicone. Facebook today announced Sports Stadium, a hub dedicated to sports and the communities that support and discuss them. Sports Stadium is a single place that accumulates all content on Facebook related to sports. Facebook today increased the set of people able to make use of its live video feature to all iPhone owners in the U.S. Facebook first tested the service with celebrities and public figures before expanding to a small set of iPhone users back in December.